"Believing is just the beginning.."
Little girls will be asking their parents to buy this in droves. Me? Personally, I can't see the Disney Princess franchise ending anytime soon. One reason I've heard is that the Fairies line is being created with the older young girls in mind, for when they outgrow the Princesses. Also, the comments on the John Lassetter clip at Cartoon Brew were mostly very mean-spirited and rather hateful and disrespectful of Mr. L.
I can't think of that voice being anybody else's but Kitara's (from Avatar, the Last Airbender). No, they are not "replacing" princesses, DCP (Disney Consumer Products) wanted to create another billion dollar a year franchise. The princesses are going nowhere, but in a saturated market of Princess products it seemed like a great idea. . . 2 and a half yrs ago. This entire Fairies franchise was dreamed and schemed in the halls of DCP, starting with the books, then merchandise, then the film, then more products and more films. If you work in consumer products and are a licensee (which the company I work for is) and have followed this story, you know it didn't go to plan, especially how DCP wanted. The books (which released first) do not have the same fairies as this new film, the film was pushed back 2 years due to John getting in there and plussing it. Let's have a moment for how many licensees where rather upset when DCP promised companies big $$$ two years ago if they took on this at-the-time "evergreen" property. Step in Hannah Montana and High School Musical 2 to the rescue. Not to mention that 2 years ago it was suppose to be Brittany Murphy doing the voice of Tink. So you can see there's been some bumps in the road. Needless to say, the film will be cute, girls will love it, and lets hope DCP will recreate Princess and Cars magic, yes Cars...it's still one of DCPs top properties coming in behind princesses still to this day! Walt Disney Animation/Pixar/Motion Pictures division creates a movie or show, DCP then helps support that by designing product and selling the property to licensees...then if the movie does well WDI tries to build an attraction around it, etc. This time around it was DCP that came up with an idea, sold the idea to licensees, then the film was started, and now WDI and DEG are trying to incorporate this new franchise within the theme parks. It's nice to see an entire company joining together to make it happen. It may not be a major motion picture, it may not be what purists want to see but it will help the Company financially and make a ton of girls happy. My niece being on of them!!! Right. Princesses won't be REplaced, just DISplaced, at least as far as the parks go. They'll still be there, just maybe not where they were. Probably my biggest issue is the “diversity”. As fairies are pretty much a specific race in the world of fantasy creatures, it just feels forced that they have a black fairy, one with a southern accent, etc. Don’t get me wrong, I’m all for diversity when it fits. But this just hit me as not fitting even though it does promote acceptance and understanding. I’m probably just too much of a perfectionist when it comes to my fantasy worlds. The new preview looks fine to me. 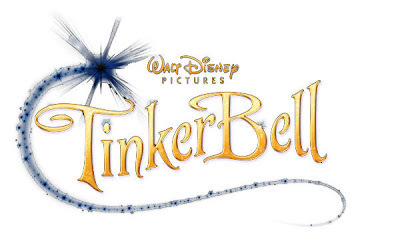 Even if Tinker Bell isn't among the greatest animated films, I still think its quality will be miles ahead of competing direct-to-video entertainment. After all the time and effort that has went into this film, I have trouble believing it's going to be the disaster many folks seem to expect. I thought the crappy straight to video films were discontinued? This looks like the worst pile of puke I've ever seen. "My niece being on of them!!!" Have your nieces ever seen Spirited Away or My Neighbor Totoro? There's two films with John Lasseter's fat face in front of them that they SHOULD see. "I still think its quality will be miles ahead of competing direct-to-video entertainment"
But it isn't. This looks no better than the Bratz cartoons. The problem I see is their bringing the films out on DVD. Many people will immediately just write the film off as one of Disney’s weaker efforts, figuring that even Disney must feel that way or they would have released it in theaters. Personally, I get the feeling that the film might come across as a Saturday morning cartoon show, especially if the story isn’t strong or compelling enough. My niece is a little too young for any studio studio ghibli feature, plus I don't really think that a 4 year old can grasp the notion of a Japanese "fairy" tales. You have to admit they have a creepy undertone. The demographic isn't right. You really think a hannah montana disney princess sanrio barbie girl is going to sit through and enjoy a film like that? My comment really doesn't support the Animation argument/aspects of the film but more of the problems that occurred with the new franchise, licensees, consumer products, cross property, and brand identity (my forte). Having watched the Barbie Fairy movies with my two daughters aged 6 and 3, these movies will be hits with them. The preview looks much better than those DVD's and its not even close. Lets just hope the story is good as well. "My impression is that whatever was in the works pre-Lasseter was largely tossed and reworked after he came aboard. Whatever this ends up looking like, he was along for the ride, I believe. Wait until they read Amid’s cartoon network material!" And it's refreshing to actually have a clear, more open-minded voice when it comes to discussing Disney. That's what I like about Honor so much, and why he's different from the rest. I find it interesting that when someone tries to have an outlook on things Disney does that doesn't follow the majority trend of cynicism and negativity, they're somehow branded apologists or the like. It's not that black or white. As for the Tinker Bell material and Cartoon Brew...while I expect that kind of reaction from folks within the industry, the blatant disrespect and attitude towards John Lasseter from some of those posters is unnecessary. My response to that is that Honor can gush about that which deserves gushing, but if we're going to praise him for being different, then he should be objective, too. Because honestly, there are good things about Disney, as well as not so good, you know?